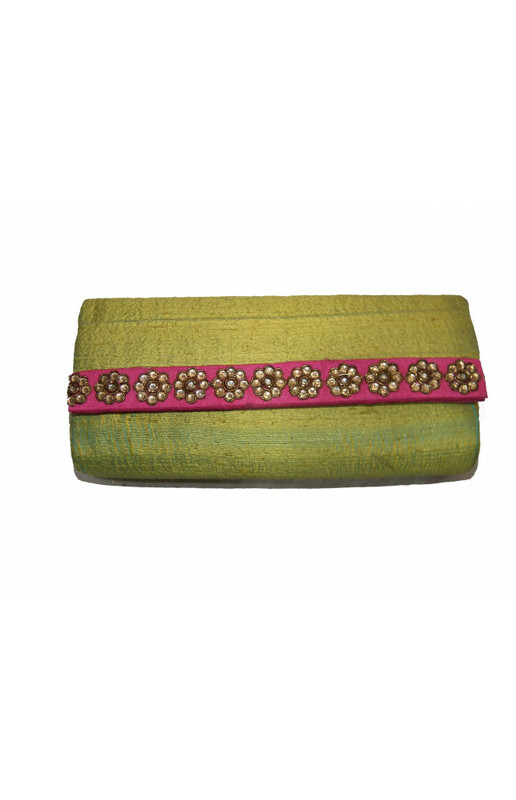 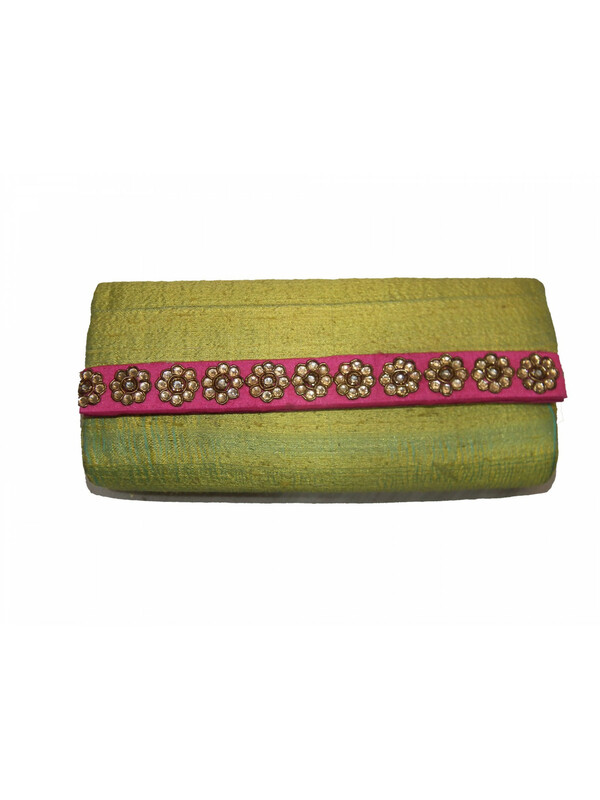 With an antique look, this light green raw silk fold-over clutch is a perfect choice to complement a dainty look. 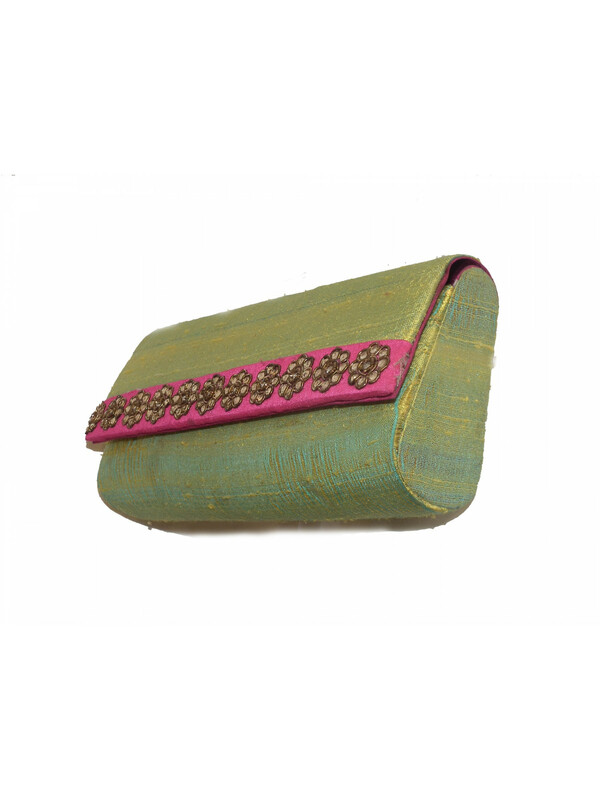 The zarkana and zardosi flower motifs on the flap-top pink border intensify the old world glamor of this exclusive clutch. 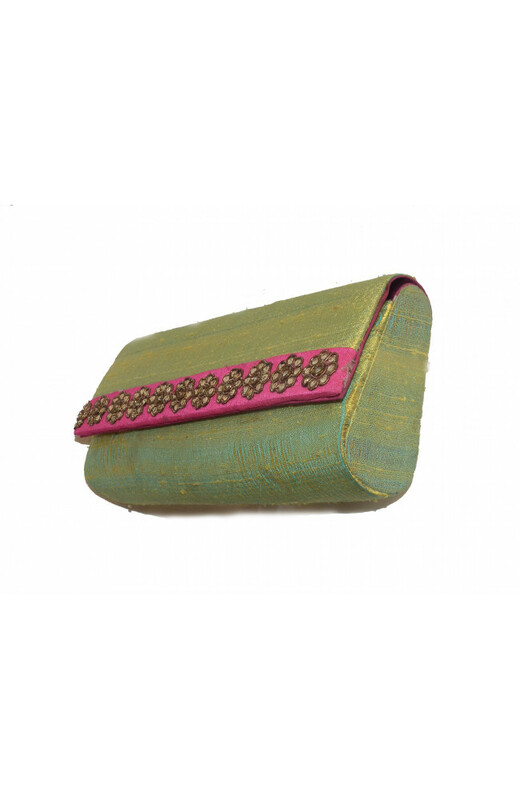 A must-have accessory, it is also a charming gift for a chic fashionista.